Vacancies, online marketeers must love this section of their website. It does not only attract relevant traffic for job seekers, but it is also a great place to position your company. 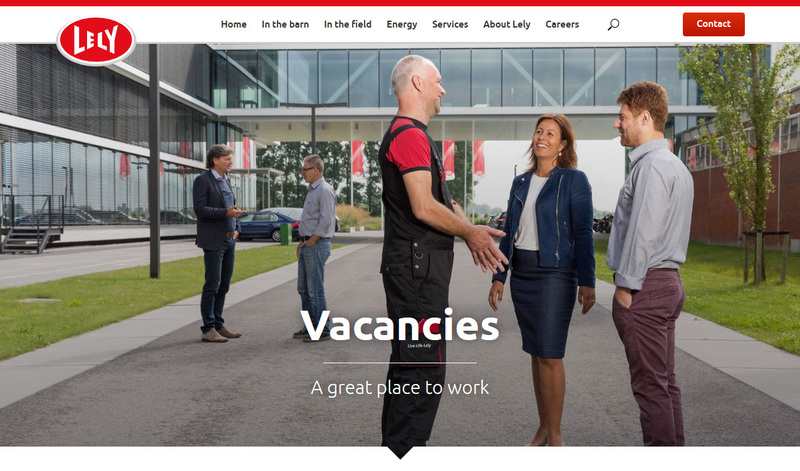 At Lely we launched our new careers proposition worldwide in over 60 countries. At Lely we take vacancies seriously. Lely is an international company in agriculture and helps customers all over the world to make choices on how to setup and run their farm. It is an ambitious international family business with room for ideas for employees. Lely stimulates progress and passion by challenging colleagues to bring out the best in themselves. How do you attract the people that match the Lely DNA? And how does a careers section on our website assist? 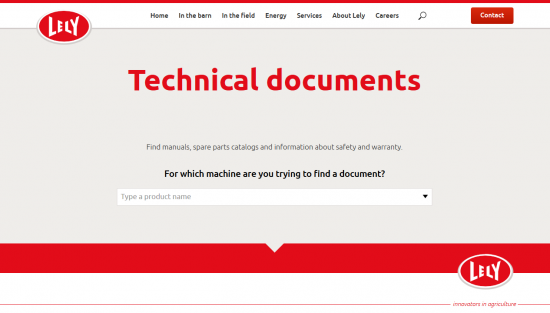 The new Lely TechDocs is live! 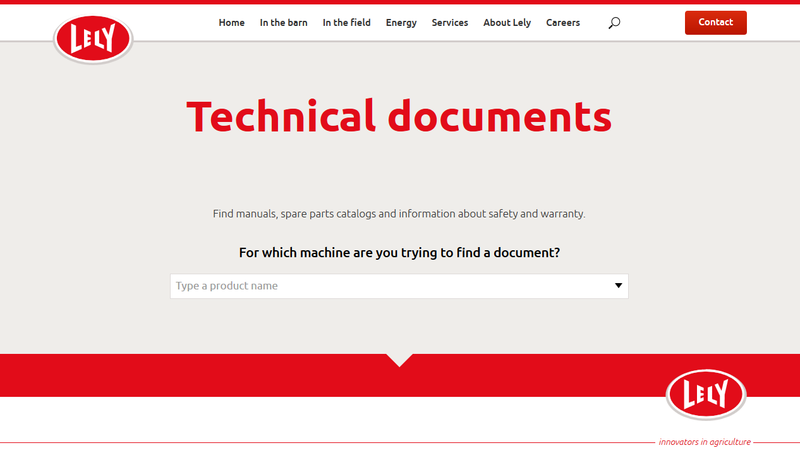 The new Lely Technical Documents library is live. As of today it contains 3.760 documents consisting of operator manuals, spare parts catalogs and safety and warranty information for a total of 67 machines. No small library, but then again Lely is a big company. Lely helps their customers all over the world to make choices about how they set up and run their farms. At Lely we produce a lot of different machines and for these machines we help out the the farmers also with technical documents. We literally built thousands and thousand machines, to maintain these machines manuals are key.